Photo taken December 15, 2003 • © 2003 John A. Bullock III. Hour of Power 8:00 a.m.
Sunday Morning Worship 10:45 a.m.
Mid-Week Prayer & Bible Study (Wednesday) 7:00 p.m.
• Member of the Martin Luther King, Jr. Birmingham Letter Steering Committee (Recognizing that Dr. King studied and trained for ministry at Crozer Chester Seminary and Calvary Baptist Church - This Steering Committee brought urban/suburban Clergy and leaders together to enter into a Covenant of Community and Brotherhood to work on achieving, in The City of Chester and surrounding areas, the hope and changes Dr. King challenged us to in his "Letter From Birmingham Jail". 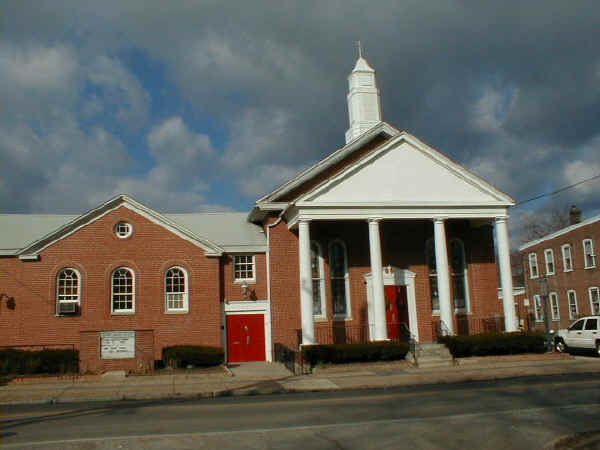 Calvary Baptist is in its 125th year of serving the city of Chester and surrounding areas. Calvary Baptist continues to be blessed with dynamic spiritual leadership by Reverend Dr. Bayard S. Taylor, Jr. who was called to pastor Calvary in June, 2000. Dr. Taylor came to Calvary with the ability to minister not only in the church but also in the community. Dr. Taylor is equipping laity for ministry through enhancing the Christian Education and Evangelism ministries. Under Dr. Taylor's pastorate Calvary Baptist Church continues to have a strong presence in the City of surrounding communities: Calvary founded and is Coordinator of The Chester Area National Day of Prayer Task Force which comprises representatives of a host of churches in the area; Member of the Martin Luther King, Jr. Birmingham Letter Steering Committee; Member of the Chester Ministerial Alliance, and Host of many Community Peace Movement Activities. Church History: During his three-year career at Crozer Theological Seminary, Dr. Martin Luther King, Jr. actively participated in Calvary Baptist Church as a Sunday school teacher and preached on occasion. Calvary Baptist Church was organized in 1879 by a small group of freed slaves who migrated from Louisa County, Virginia. The one building which housed worship services, educational programs, community meetings, choir rehearsals, etc. has expanded to include an additional Education Building, expanded lots, a parking lot, and a parsonage. Calvary Baptist has always had a significant presence in the City of Chester and surrounding communities through not only developing spiritual maturity in its members, but also ministering the Love of Jesus in our community. The following "Brief History of Calvary Baptist Church" is taken from the Home Directory of the Colored People of Chester, 1906 compiled by Lawrence L. Barrett & C. I. Wilson. This reference is available at the DCHS research library. Twenty-three years had marked the struggles of the Calvary Baptist Church. It was some time during the close of the above period when they extended a call to the present pastor, Rev. Milton N. Sparks. The church then numbered not more than fifty, if that number could be found. There was much to regret that expressed itself. Her people had lost confidence in leadership and declared openly that God was not for them, Etc. By God's help, after much prayer, the charge or call was accepted. There was nothing to give inspiration by them who had gone before. In fact, there was a building, but no church. Entering this house, the Gospel of Jesus Christ was preached. Gradually the people, with difficulty, came, one and two at a time, giving aid and receiving the same spiritually. The revival spirit did much of the successful work in our present church. Now we have a membership of 200, a Sunday School of 65 in attendance, a well established system in perfecting church business, a body organized and adapted in all its parts to a common end. Improvements- Front and rear chapel sidewalks, cemented basement floors, water and improved toilet arrangements, and last but not least, our parsonage. All this work was manifested in the four years' struggle of the present pastor. Not I, but Christ. Trustees- J. Wesley Townesley, treasurer; Lemuel Lee Washington Grimes, James L. Smith, Charles Little. Sunday School Sunday Superintendent - Peter Brown. 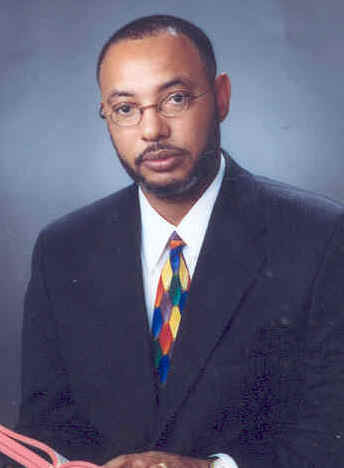 © 2001, 2003 John A. Bullock III.